If you have an enquiry or need a quote for sacks, bulk bags or any of our other products then please submit an enquiry below. 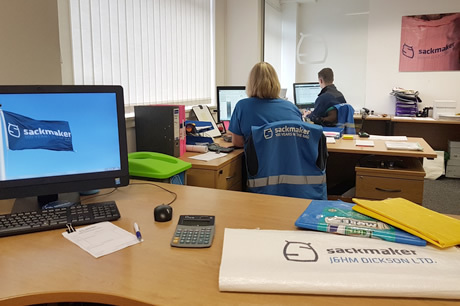 Or if you have a bespoke enquiry and are looking for a custom made sack and are interested in having your sacks printed with your logo or design then either give us a call on 0800 032 6447, Email us at sales@sackmaker.com or complete the enquiry form below. By clicking this box you are agreeing to be contacted via email for information about Products, Services, Special Offers and News from Sackmaker / J&HM Dickson Ltd.